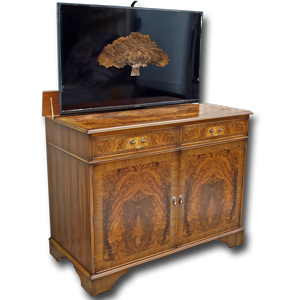 A fine reproduction Regency style sideboard with remote control TV lift mechanism. We use a top quality lift unit which has start/stop height adjustments plus a manual up/down switch located in the side of the cabinet. 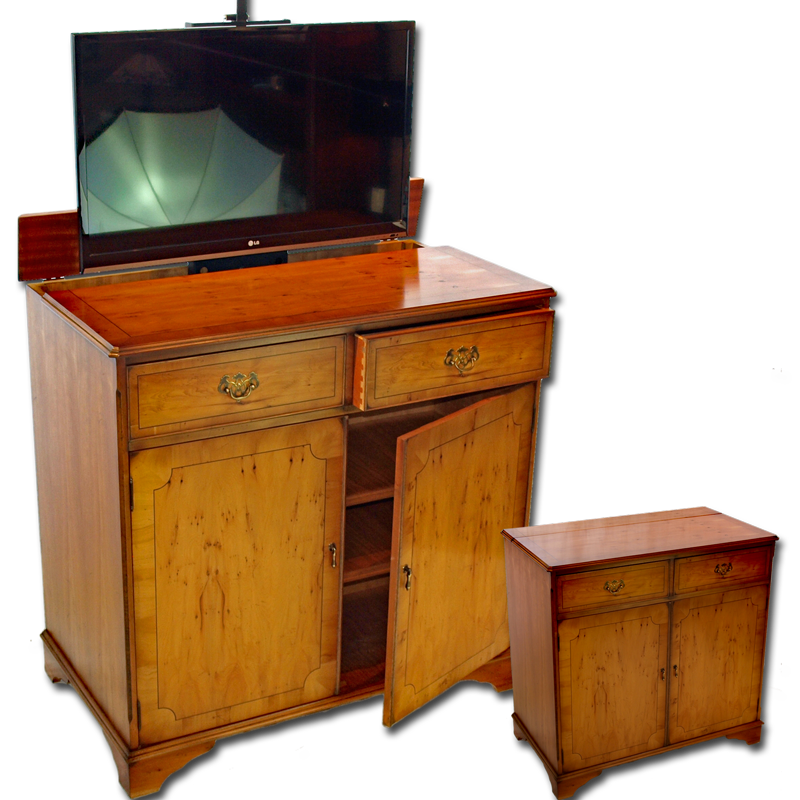 This cabinet features two inlaid & dovetailed drawer plus two adjustable shelves behind two scallop-inlaid doors and finished in the wood, shade and finish of your choice. 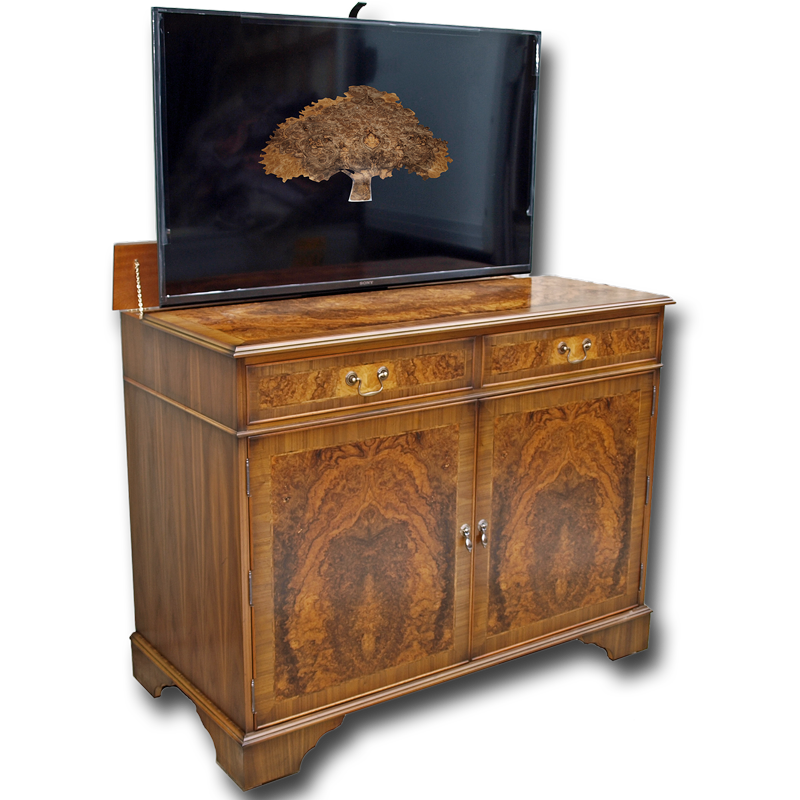 The standard sized unit can accept TV's up to 37" as pictured but we are happy to make you one for any size television - you can even have your new TV delivered to us and we will fit it for you. Please select if you would like dimensions to be as stated or if you would like us to make it as a tailored fit to your TV.